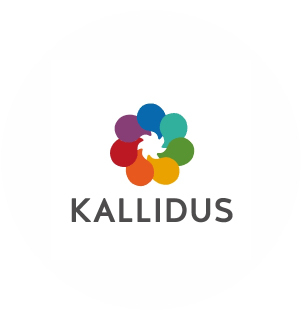 Award winning learning and talent solutions provider Kallidus will be showcasing its innovative recruitment software, Kallidus Recruit, at In-house Recruitment Live. Kallidus will be demonstrating how its easy-to-use solution helps organisations to improve their talent acquisition strategies and candidate experience at the Manchester show on 10 May 2018. Kallidus Recruit manages the entire recruitment journey including vacancy planning, candidate attraction, candidate selection and onboarding. It features a dedicated applicant tracking system which helps reduce the cost per hire, speed up the hiring process and tap into a talent pool of pre-qualified past candidates to fill future skills gaps. A recent report from CareerBuilder revealed that organisations that use applicant tracking software are least 25% more likely to have a standardised hiring process and focus more on the candidate experience. Kallidus provides a complete SaaS (Software as a Service) end-to-end solution for learning, performance, 360, recruitment and talent management. It helps blue-chip clients including Eurostar, Transport for London, the NHS and many major high street brands to simplify and modernise their learning and talent processes and create outstanding employee experiences. CareerBuilder’s report highlights that three quarters of employees view onboarding as the first part of their employee experience. As well as improving onboarding through Kallidus Recruit, Kallidus’ award winning digital content team have a strong track record in developing onboarding content and is working with one of the largest UK supermarkets to improve its onboarding programme. In-house Recruitment Live provides senior in-house recruitment and talent professionals with an ideal opportunity to network with their peers and discover all the latest technologies and tools to streamline and boost their talent and recruitment processes. The conference and exhibition features an extensive programme of keynotes, seminars and masterclasses. Kallidus is a Silver Sponsor and will be showcasing its solutions at stand 16. To register for In-House Recruitment Live for FREE, please click here. Recruit top talent, modernise learning and create a culture of transparent feedback and employee development from initial hire to high flyer. Whether you need a rich applicant tracking system (ATS) to recruit new talent, a modern LMS with award-winning content to engage learners, a performance management system to transform appraisals, 360 feedback to create a culture of continuous improvement or succession planning to identify internal talent, each product has been thoroughly user tested and designed to support every stage of the employee lifecycle. Their software has the flexibility to be bought stand-alone or bundled together to help you achieve your HR and development goals at a pace that suits you.